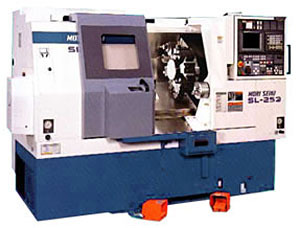 1- 2001 Mori Seki SL-253BMC/500 Three axis turning center 2.95" Bar Capacity, 10" Chuck. 8.7 HP milling drive motor with 20mm collet capacity holders, 3,000 RPM Full C axis control of main spindle down to .001deg. resolution Polar Coordinate Interpolation, Cylindrical Interpolation, Rigid tapping Side milling, drilling and tapping, Face milling, drilling and tapping Conversational automatic programming. 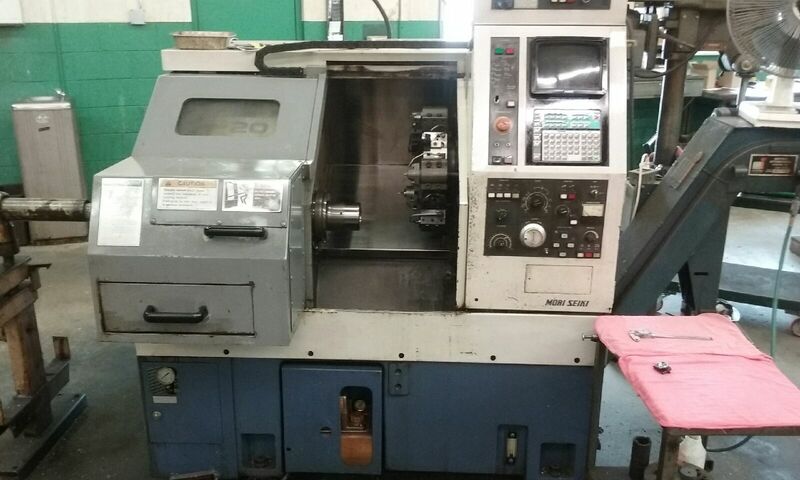 1- 2000 Mori Seiki CL-203B/500 Two Axis Turning Center 8" Chuck, Maximum Machining Length of 20"
1- 1997 Mori Seiki SL-250B/500 Two Axis Turning Center 2-7/8" Bar Capacity, 10" Chuck Maximum Machining Length of 20"
1- 1989 Mori Seiki SL-25B/500 Two Axis Turning Center 2-1/2" Bar Capacity, 10" Chuck Maximum Machining Length of 20"
4- Single Spindle Drill Press #2 and #3 M.T. Mitutoyo Toolmaker's Microscope with Video Display Option. ATS 3J collet Adapter included, Bar support rack included, Turret tooling, All manuals with parameter list. This machine runs 8 hours a day every day. Very accurate and reliable. Condition is good. 3J collet Adapter included, Bar support rack included, Turret tooling, All manuals with parameter list. This machine has been well maintained, runs every day and is very accurate and reliable. Bar support rack included, Turret tooling, All manuals with parameter list. Not all sizes available. Will sell all or part. 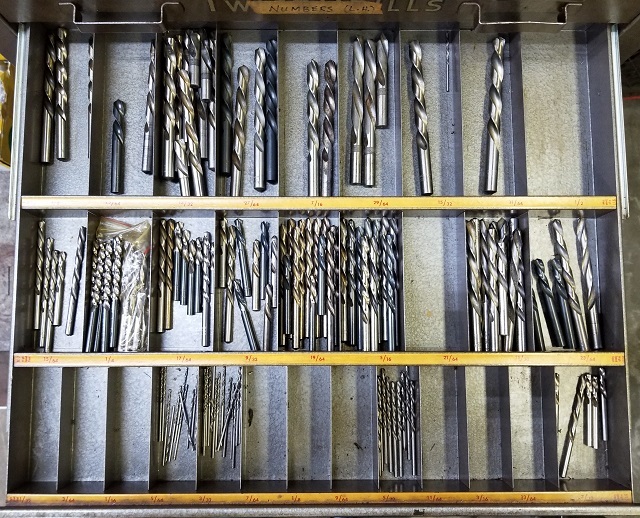 View of Fraction Sizes 1/64" thru 1/2"
I have a lot of other tooling available for B&S. 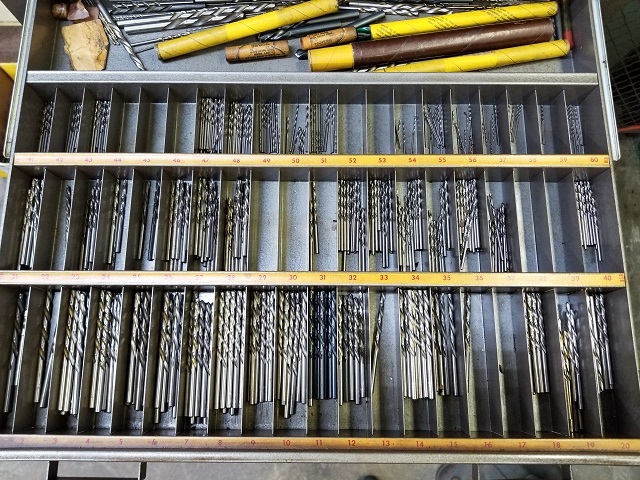 Drill holders, Box mills, Die heads, etc. Bronco Machine was founded in 1959 and is located in Willoughby Ohio just east of Cleveland. We have a history of making critical components for companies such as, Gould Ocean Systems, General Electric and the United States Department of Naval Ordnance. We can produce machined parts in lot sizes from 1 to 10,000 pieces in a wide variety of materials. We are very proud of our zero rejection rate with General Electric. But we are especially proud of the long term relationships we have developed with our customers and the faith our customers have in us to deliver the highest quality products, on time and at competitive prices. © Copyright 2016 Bronco Machine Inc.